Promote the preservation of vision and the visual process through education. Promotes the dissemination of the advances in medicine to the public and the profession. Promote and advance the success of the profession. Advocate with government and industry on relevant issues in the interest of the public and the profession. Click here to see upcoming meetings and events! 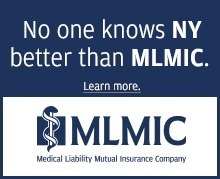 NYSOS is pleased to offer its members unlimited, free consulting assistance for problems or questions they encounter relating to third party payer insurance, coding and policy issues. CLICK HERE TO LOG IN AND LEARN MORE.